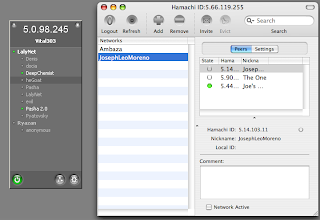 I agree, Hamachi's VPN client is great because of it's high quality and because it's free! But, there may be security issues because it sets a different type of IP. The fact that the 5.X.X.X Netblock is Reserved means that Hamachi shouldn't have ever used it and doing so will ultimately cause problems for the software in the future. IANA will most likely issue this netblock sometime in the next 48-months making Hamachi useless.